Los Angeles, CA – After suiting up as the Space Gypsy in 2013, blasting off on an epic Space Fusion Odyssey in 2015 and enjoying Life In Space in 2017, pioneering musician/songwriter Nik Turner is now set to venture to the outer reaches of space rock with his awe-inspiring new studio album The Final Frontier! Picking up where his last album left off, Turner brings another set of psychedelic freak-out grooves that will take listeners on a journey they won’t soon forget! Standout tracks include the album opener “Out Of Control,” a super-collider of rollicking psych rock that unites saxophone and guitar in spectacular fashion, and the dramatic space ballad “Interstellar Aliens.” Once again joining our intrepid traveler Turner is Nicky Garratt of UK Subs and Hedersleben, Jürgen Engler of Die Krupps, and Jason Willer of UK Subs and Jello Biafra’s band as well as special guest appearances by Hawkwind alumni Simon House and Paul Rudolph. Available on CD in a digipak case as well as a gorgeous limited-edition yellow vinyl in a gatefold jacket! The Final Frontier will be in stores everywhere starting March 8. Los Angeles, CA – The Return Of The Thunder Rider! 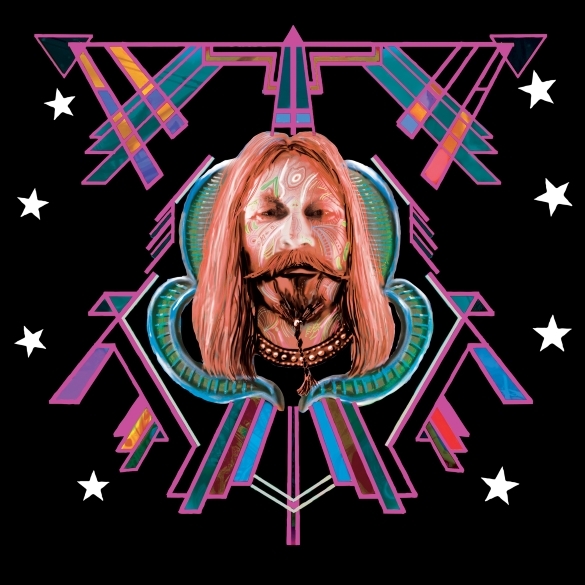 Hawkwind co-founder Nik Turner teleports back to Earth with a brand new album, Life In Space, to be released on September 29 via Purple Pyramid Records. The album features some of Nik’s most mature songs in years including the emotional opener “End Of The World” featuring a special guest performance by former Hawkwind/Pink Fairies member Paul Rudolph. Another Hawkwind alumnus, violinist Simon House, jumps on board for the space trippy “Why Are You?.” Turner also revisits one of the Hawkwind classics that he co-wrote, “Master Of The Universe,” giving the tune a modern twist. Life In Space will be available on both CD and colored vinyl (your choice of blue or white). Los Angeles, CA – Fresh off a whirlwind tour through Europe and Japan, Nik Turner, the inexhaustible saxophone and flute-playing co-founder of space rock legends Hawkwind, will return for another US tour accompanied by up-and-coming kraut/prog rock band Hedersleben. Following what has been widely regarded as the most ambitious album of his career, one that MOJO called “a sprawling but polished album,” Space Fusion Odyssey, Turner continues his astonishing career rebirth with a newly reinvigorated sense of musical creativity and sonic exploration. Los Angeles, CA – They were one of the most groundbreaking rock bands to emerge from England in the late ‘60s whose improvised theatrical stage performances, DIY costumes, and larger-than-life stage presence earned them a cult-like following that persists to this day. And now the exhilarating story of Hawkwind’s most crucial years is about to be told. The Spirit Of Hawkwind 1969-1976, available everywhere on October 30, is the first ever behind-the-scenes look at the meteoric rise of this motley crew of space rock hooligans as told by one of its captains, co-founder and saxophonist Nik Turner. With assistance from music historian Dave Thompson, Nik gives readers the ultimate insider’s guide to Hawkwind, sharing his personal recollections both hilarious and horrifying, from the infamous drug bust of bassist Lemmy, to the group’s shocking performances at Glastonbury Festival. If it happened, it’s here, warts and all. The hardcover book features 300 pages of rare and never-before-seen photos as well as a comprehensive discography, gigography, and a reproduction of Nik’s tour diary from the band’s first US tour in 1975. In addition, the book will include a precise reproduction of the 1971 “Sonic Attack” 7” promo one-sided single housed in a cloth bag plus a full reproduction of a 1971 6” x 9” 20-page promotional booklet. If you’re a Hawkwind fan, Christmas has definitely come early this year, and if you aren’t already a fan prepare to get swept up by The Spirit Of Hawkwind! More tour dates to be announced. Check http://www.cleorecs.com for updated tour info. Los Angeles – Following the release in 2013 of the most acclaimed album of his solo career, Space Gypsy, Nik Turner is pleased to announced the release of the follow up album Space Fusion Odyssey, out now on Cleopatra Records. Space Fusion Odyssey is without a doubt the most musically ambitious undertaking Turner has ever attempted, stretching his already prodigious saxophone and flute playing skills to create instrumental soundscapes that entrance, confound, and stimulate all at the same time. As with many of his previous releases, Turner has surrounded himself with an incredible crew of fellow musicians who help him bring his vision to life. Dubbed the Interplanetary Arkestra (hat tip to Sun Ra), the group includes some of the most gifted and groundbreaking musicians of his generation such as legendary jazz drummer Billy Cobham, Doors’ guitarist Robby Krieger, Steve Hillage & Gilli Smyth of Gong, Soft Machine’s John Etheridge, Amon Düül II founder John Weinzierl and many more! Space Fusion Odyssey is set to land in July of this year courtesy of Purple Pyramid Records. Following the albums release, later in the year The Spirit Of Hawkwind 1969-1976 will be published, the definitive biography of Hawkwind’s early years as told through the eyes of Nik Turner and written by music historian Dave Thompson. The hardcover book contains over 250 pages of rare and unseen photos as well as a comprehensive discography – a feast for Hawkwind fans everywhere. Los Angeles, CA – In 2013, Nik Turner released the most acclaimed album of his solo career, Space Gypsy, the intergalactically acclaimed masterpiece that found this Hawkwind co-founder returning to his space rock roots alongside fellow Hawkwind alumnus Simon House and others. Now, Turner is preparing for departure on a whole new kind of spaceship, a musical project that finally frees him from the gravitational pull of traditional rock music orbits and launches into new stratospheres of jazz, blues, fusion, and other eclectic styles heretofore unknown to man. 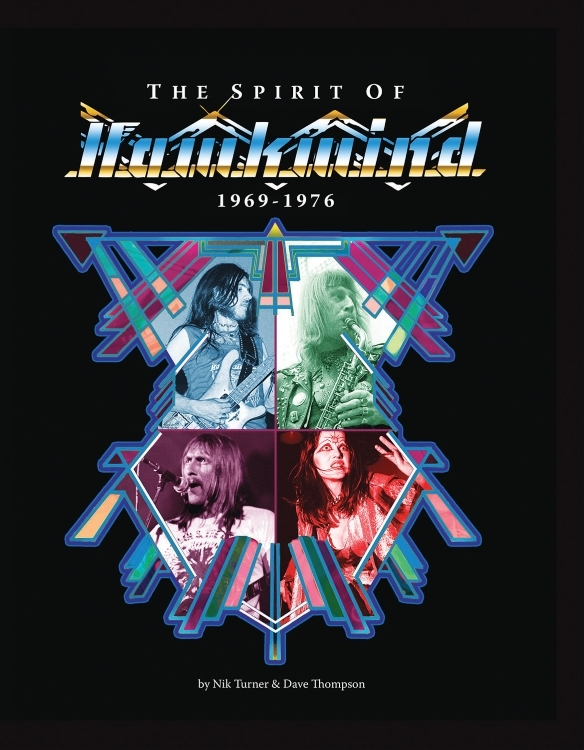 Also be on the look out for The Spirit Of Hawkwind 1969-1976, the soon to be released definitive biography of Hawkwind’s early years as told through the eyes of Nik Turner and written by music historian Dave Thompson. The hardcover book contains over 250 pages of rare and unseen photos as well as a comprehensive discography – a feast for Hawkwind fans everywhere!